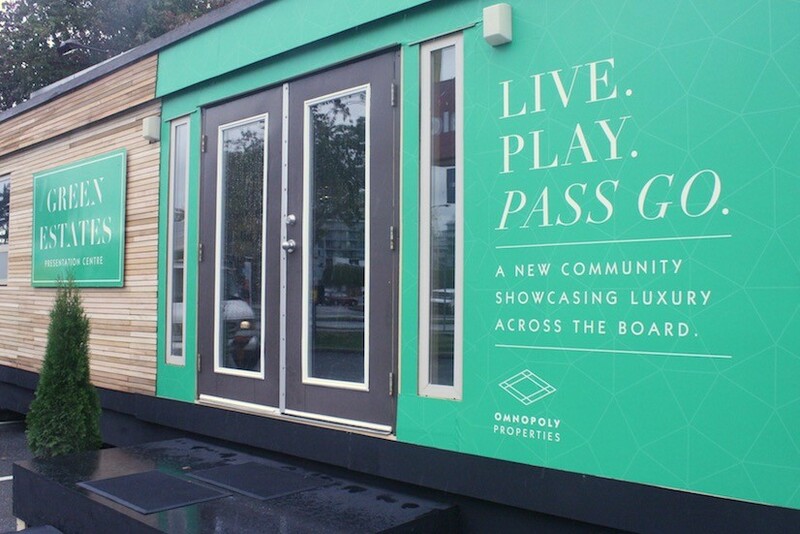 Ever wonder what it would be like to purchase a shiny green Monopoly home? 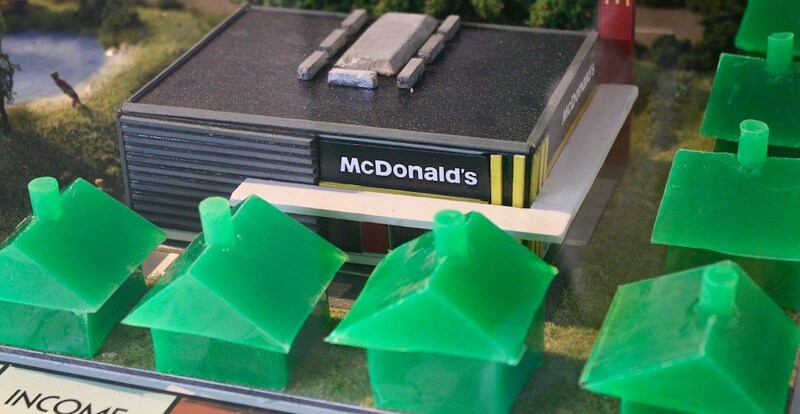 For three days only, McDonald’s Canada is inviting guests to head into the “Omnopoly Properties” Green Estates presentation centre, located conveniently next to the McDonald’s restaurant at Terminal and Main Street (1527 Main Street), and learn about the fantasy housing development that every thimble, top hat, and race car would love to be a part of. This exciting development was announced yesterday to celebrate the return Monopoly Coast-to-Coast game, which runs from October 11 to November 13, 2017. You wont see the Monopoly man, but you’ll definitely get a taste of what it’s like to live in his world – not to mention you’ll get some insight on how to win the epic McDonald’s Monopoly prizes, which include the chance to win $5,000 a week (when you redeem offers using the My McD’s app), a $150,000 cash prize, a 2018 Volkswagen Atlas SUV, and more. 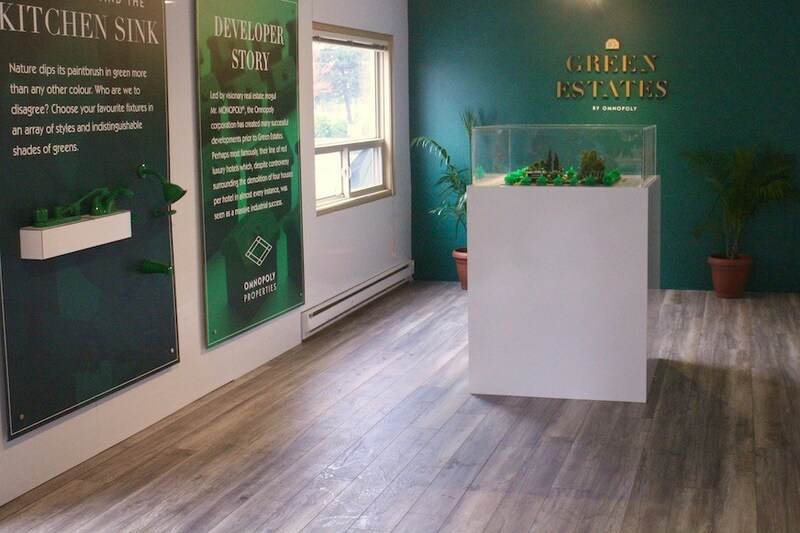 Guests can enter the centre today (Thursday, October 12) until Friday, October 13 from 9 am to 6 pm and be taken through the features and neighbourhood details by an experienced and informative “sales person” who works there – just make sure he doesn’t swindle you and charge you for luxury tax. Hear about all the benefits of buying in this new neighbourhood during the pre sale such as amenities like close proximity to the railroads, free parking, and the comforting feeling of knowing that the local police force will send bad guys to the nearby jail. 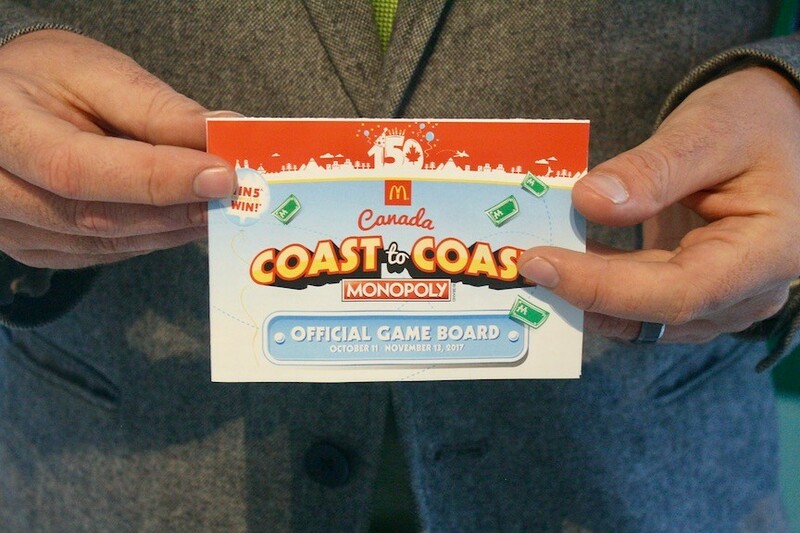 You’ve got a one in five chance to win these prizes – so be sure to head to any participating McDonald’s restaurant, cross your fingers, grab your official game board, pass GO, and get playing Monopoly Coast-to-Coast!